These days I have been lot of busy updating website and posting articles on my blog and due to such constraints it’s not possible to be active on Facebook all the time. My usual habit is to open Facebook account and then I leave it open and start doing some other work on the Internet and most of the time goes into updating and promoting blog and many times it happens that I read messages my friends send me on Facebook chat box but forget replying them if it is not important or if I am too busy and my friends keep complaining that I read their messages but don’t reply. So the most obvious reason was to either reply to every one of them or to completely close Facebook and concentrate on my work but both of them weren’t feasible because most of my Internet accounts had been linked to Facebook so I had to keep it open in order to not keep entering username and password on each Internet account. Due to this I had to find something that might block the Facebook Message seen receipt like the one shown below. Is it possible to block Facebook Message Seen Receipts? Yes! it is possible to hide Facebook Message Seen receipts but Facebook doesn’t provide an option to do it. 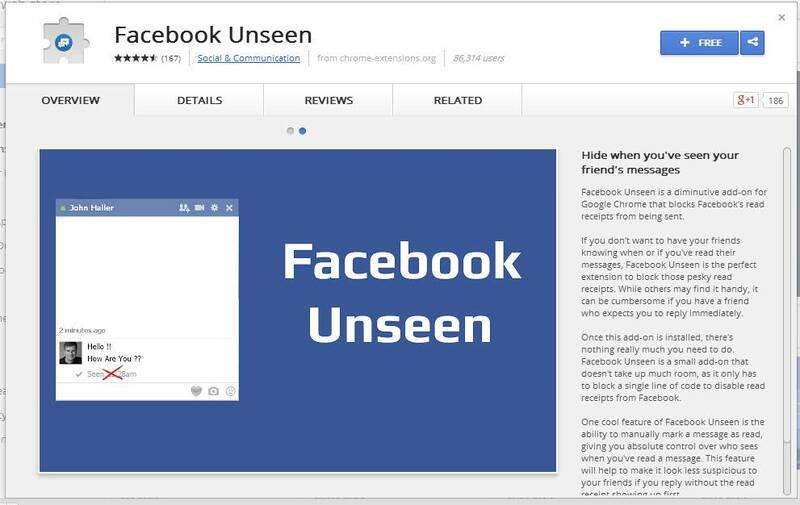 In order to disable Facebook Message Seen receipts you need to be logged into Google’s Chrome browser and you need a Chrome extension called as Facebook Unseen. Below are the steps to get started with it. 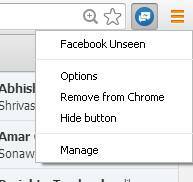 Click on the +FREE button to add Facebook Unseen extension to your Chrome browser. If the extension is added correctly; you will see this button on the address bar in your Chrome browser like shown in the image below. You can easily enable and disable Facebook Unseen by clicking on it and to explore the extension’s option right-click on it and different option panel will be available to you. There are very limited but useful options available in the app. 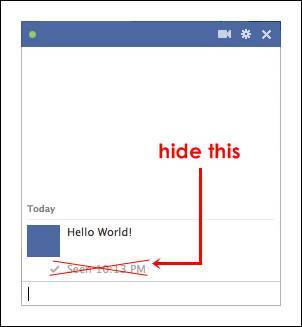 You can even hide Facebook Message Seen Receipt in your own chat box. Now since the app is developed in spare time by a freelance developer it is possible you might not see much updates to this extension or might even experience some instability since it does not has some a rigid support and developed by an individual but right now the app works perfectly fine and does what is advertised compared to other extensions on the Chrome Store. Is this extension available for Firefox? There isn’t this same extension for Firefox but don’t get low even if you use Firefox you can block Facebook Message Seen receipt using the Unseen add-on. I hoped you liked this post. Please don’t forget to share it on your Facebook, Twitter and Google+ account. If you have any question or suggestion do let us know in the comments section because we love to hear from you. Hey wait! Have your checked our awesome articles about Top Five Smartphone Under Rs. 20,000 in 2014.